The Community Celebration has opened today and the first two Prim Perfect talks will be taking place in the Auditorium. 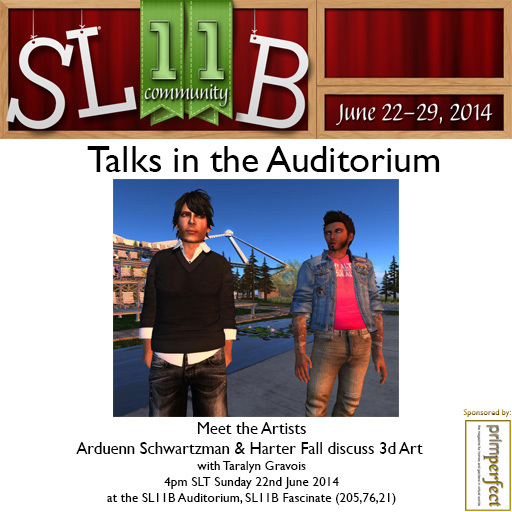 At 4pm, Arduenn Schwartzman & Harter Fall will discuss 3d art in SL Findland/Holland with Taralyn Gravois on the main auditorium on the larger stage. 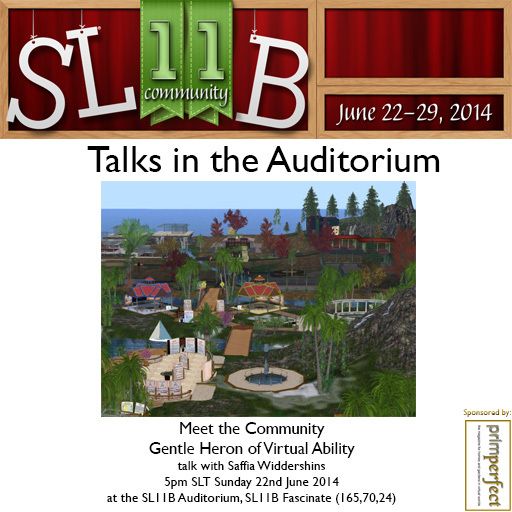 Then, at 5pm, Gentle Heron of Virtual Ability will be talking to Saffia Widdershins on the Talks Stage. We will be publishing a full rota of our Talks shortly. Next Post: SL11B Community Celebration Exhibitors – the MadMan tells you how to get into the Second Life Destination Guide!